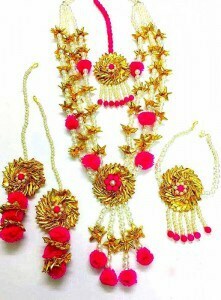 This wedding season are you ready with your Gota jewellery. 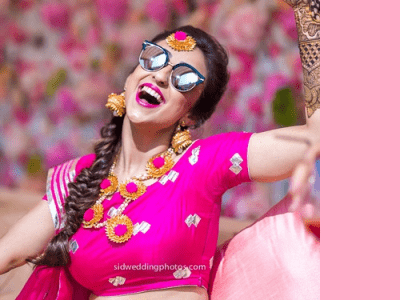 Ladies its high time to ditch your traditional jewellery and look for these trendy Gota jewellery (also known as Kota Jewellery). Today this post is all about why you need to do so. 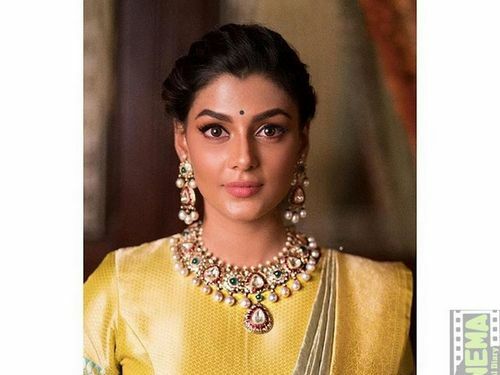 Gota jewelleries are made up of shimmery lace in different colors like golden, silver and copper which is popularly known as Gota. 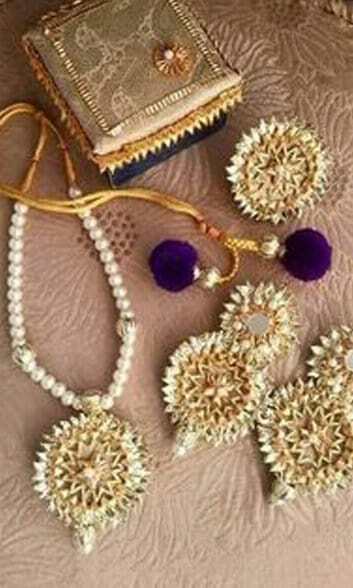 This sparkling Gota is the essence of any Gota jewellery. 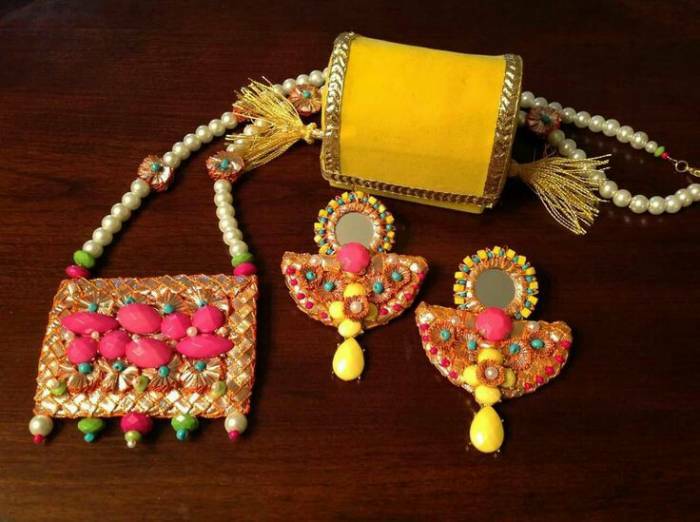 Beside this, you will also find colorful resham threads, pearls and beads to make it look more attractive. So, let’s dig out what Gota jewellery has in its treasure. These chic jewelleries stand high on the parameters of comfort and style. 1. 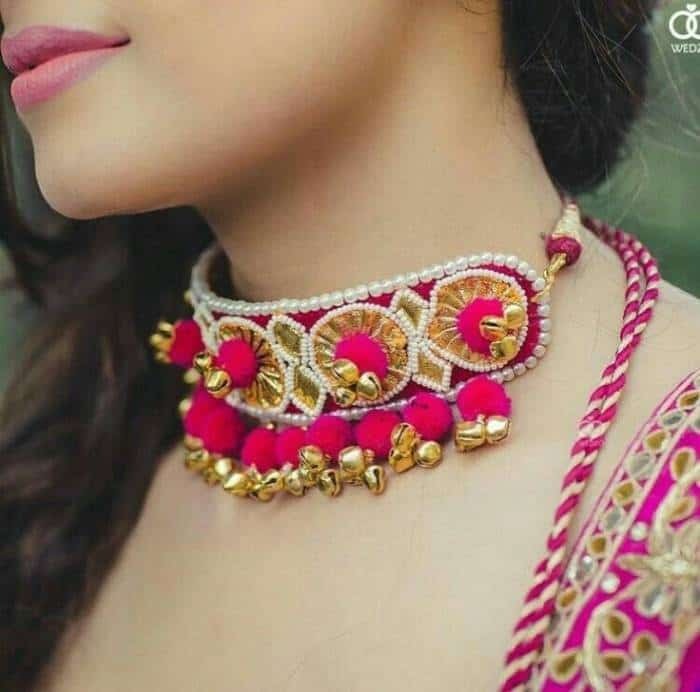 The Chaand baalis and choker neck piece is the best loved design in kota jewellery. 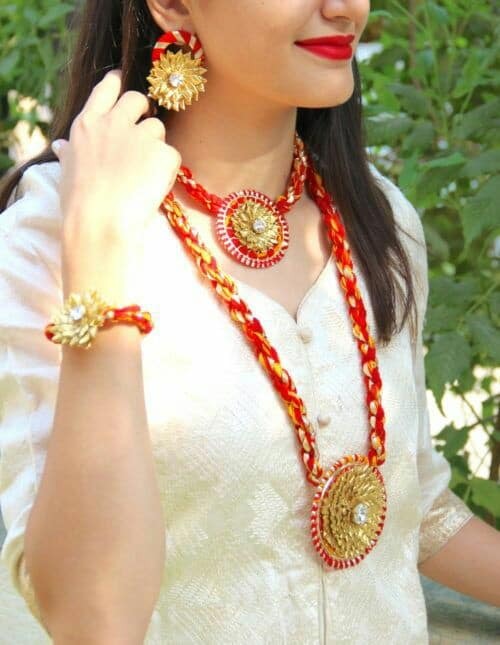 The good thing about this jewellery is that they are very light. So even if you are looking for the big ones they are not going to hurt you. 2. 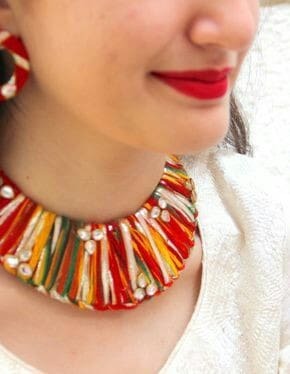 Beautiful anklet from kota jewellery which has the magic of all the colors tied in it. It’s here where you can talk about colors and pattern. 3. Here the creativity never ends and from mirrors to the use of colorful beads and pearls there is a lot to experiment. 4. 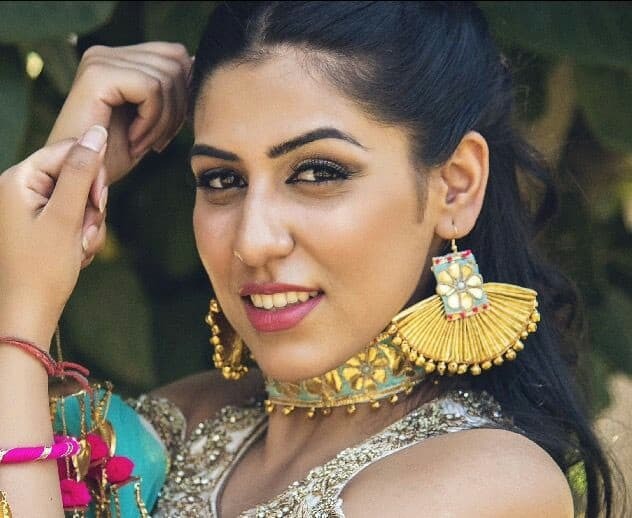 You can get that majestic look by wearing big round jhumkas, elaborated maang tikka and a broad choker neck piece. 5. 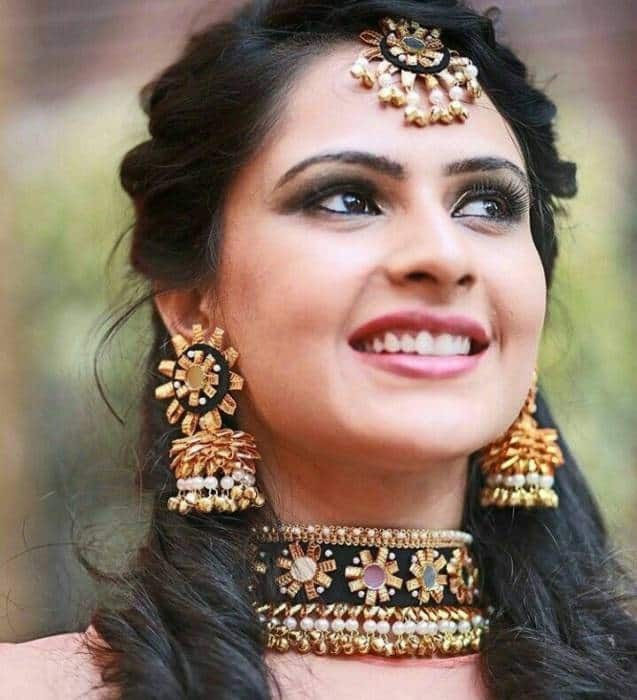 These kota jewelleries are not exclusively for wedding functions. But you can easily try them with your western outfits too. A single neck piece or a bracelet may add an inch to your style. 6. 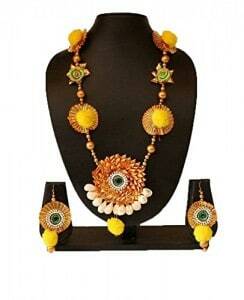 The best thing about this kota jewellery is that you get a divine look at very affordable prices. 7. 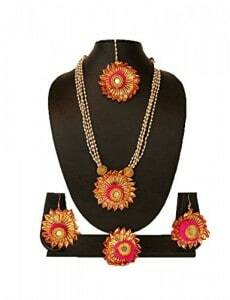 You can also easily find kota jewellery set for wedding functions. 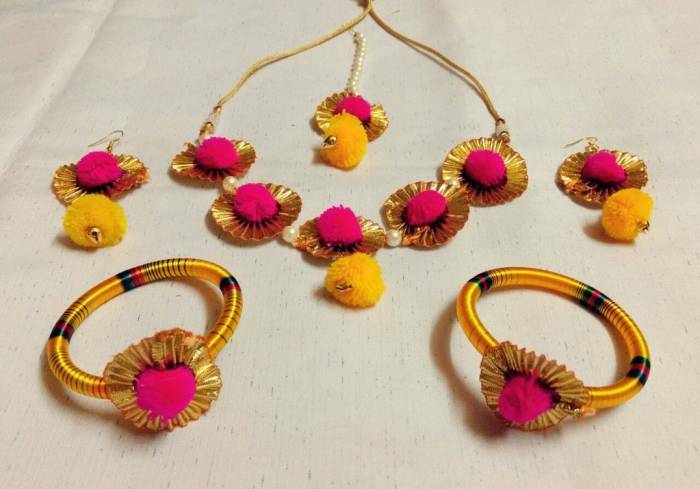 Their wide range includes maang tikka, earrings, long necklaces, haathphool and colorful bangles. 8. 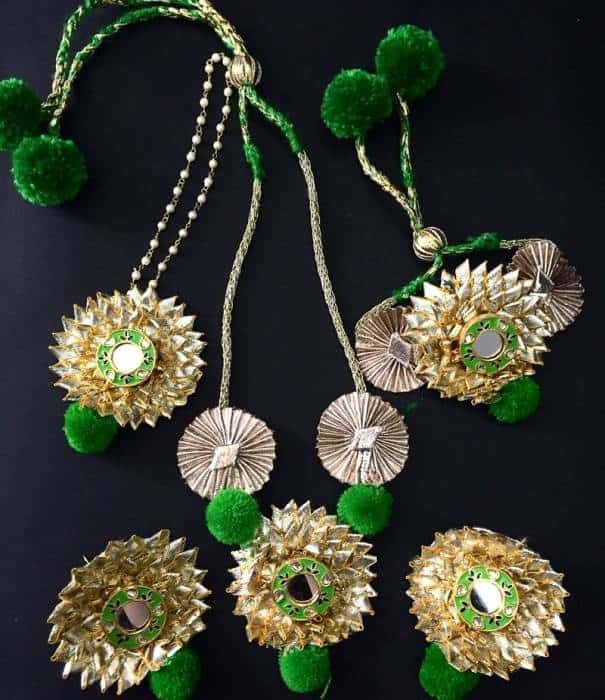 Use of colorful pom-pom and Ghungroos has made this jewellery more desirable. 9. 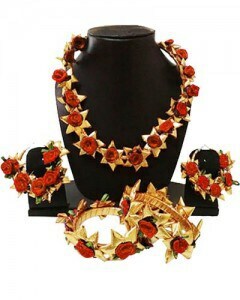 These jewelleries add drama to your ensemble without looking too heavy. So they are perfect for light functions. 10. In the case of expensive metal jewelleries you have to repeat them again and again. But their affordable price allows you to pick many according to your taste and mood. 11. They are soft to your skin as they are made from fabrics. 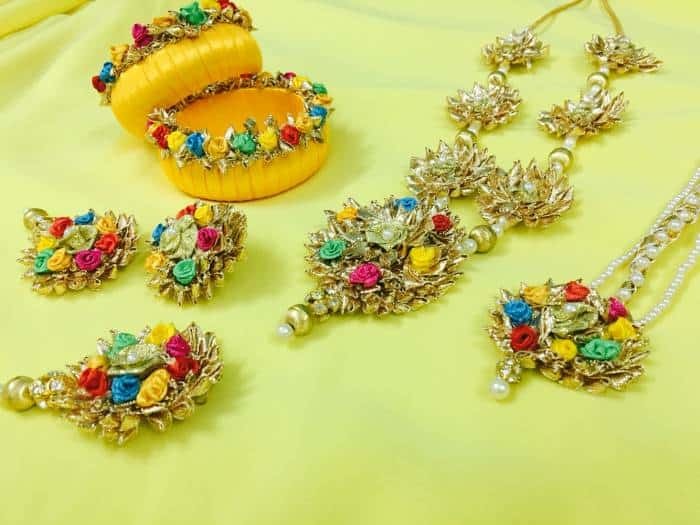 Girls who keep themselves away from metallic jewelleries because of skin allergies are sure to enjoy these kota jewelleries. 12. 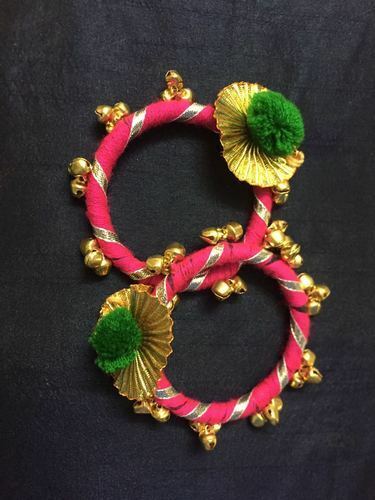 These handmade bangles can be paired with most of your ethnic wear. 13. 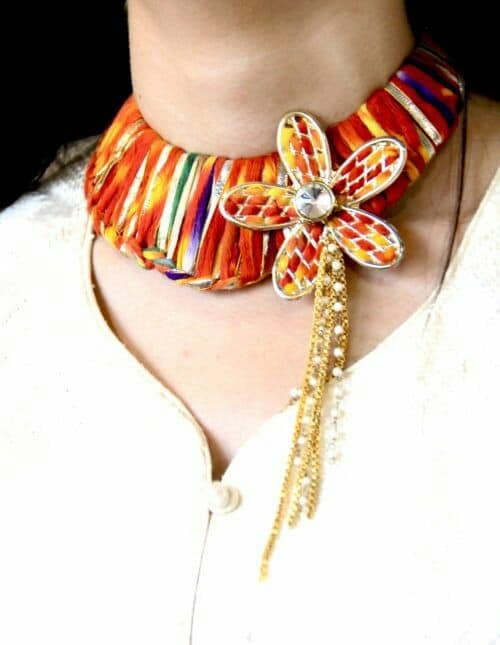 Beautiful choker neck piece with resham threads and Kundan work looks so mesmerizing. 14. 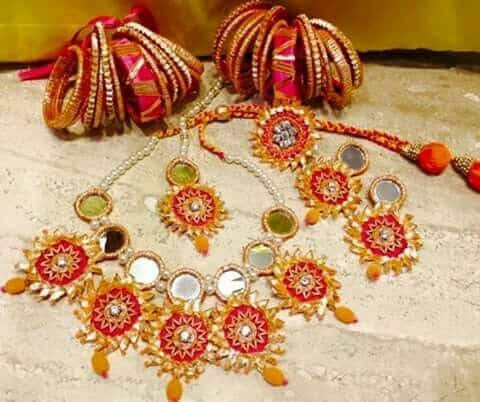 If you are looking for some extra shine, then look for some mirror work in your kota jewellery. 15. 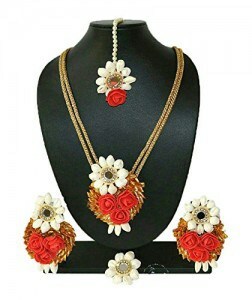 Matching your accessories with your wardrobe becomes quite interesting when you are looking for kota jewellery.